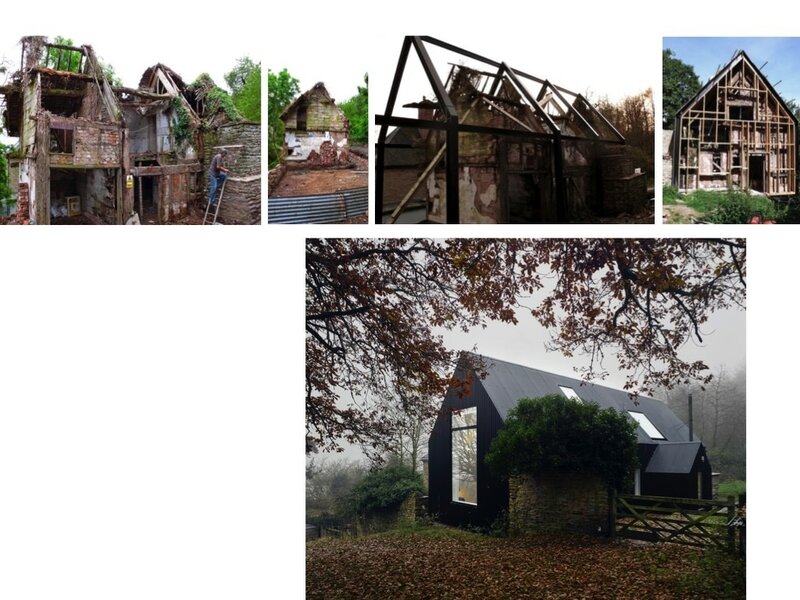 The preservation of a 18th century cottage and the creation of a new house and studio. 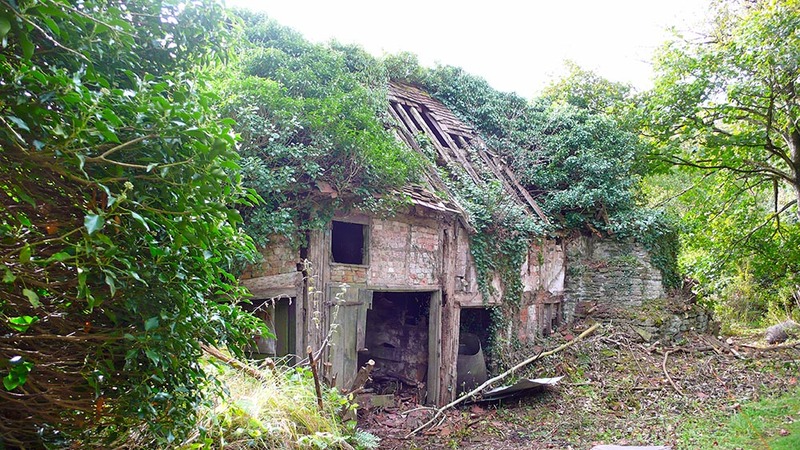 The cottage was a ruin being held together by ivy. 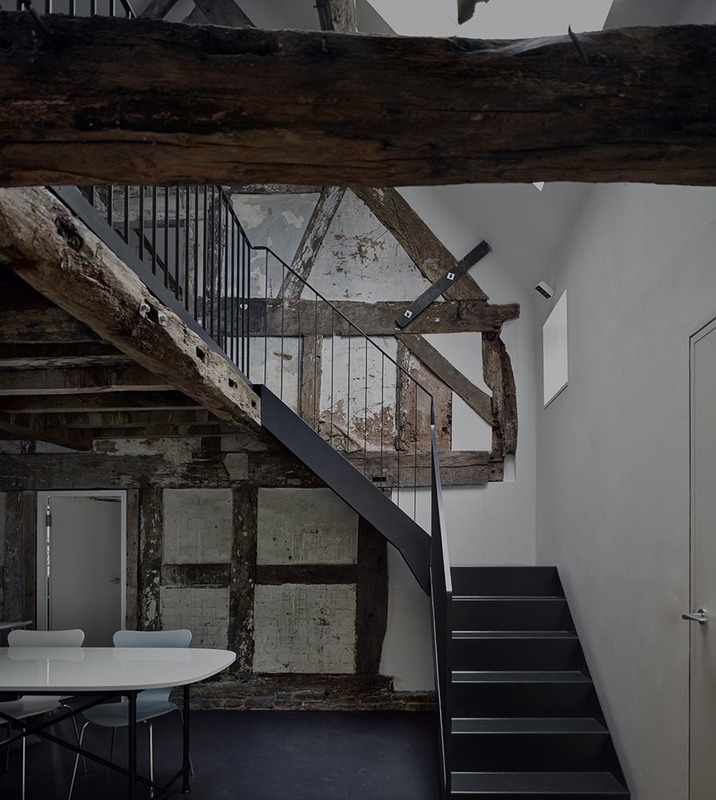 The strategy was not the renovate or repair the 300 year old listed building but to preserve it perfectly. 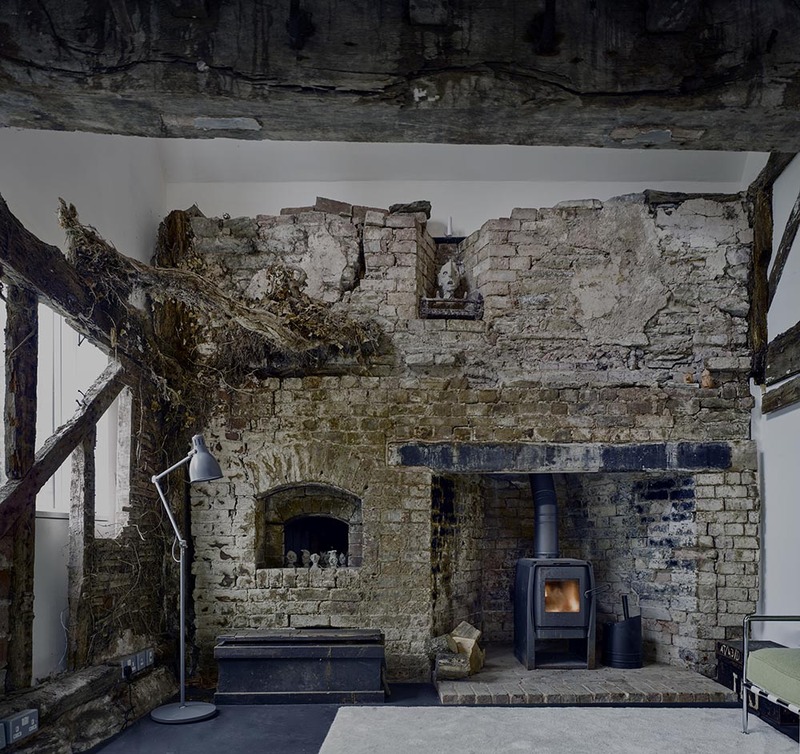 This would include the rotten timbers, the dead ivy, the old birds nests, the cobwebs and the existing dust. 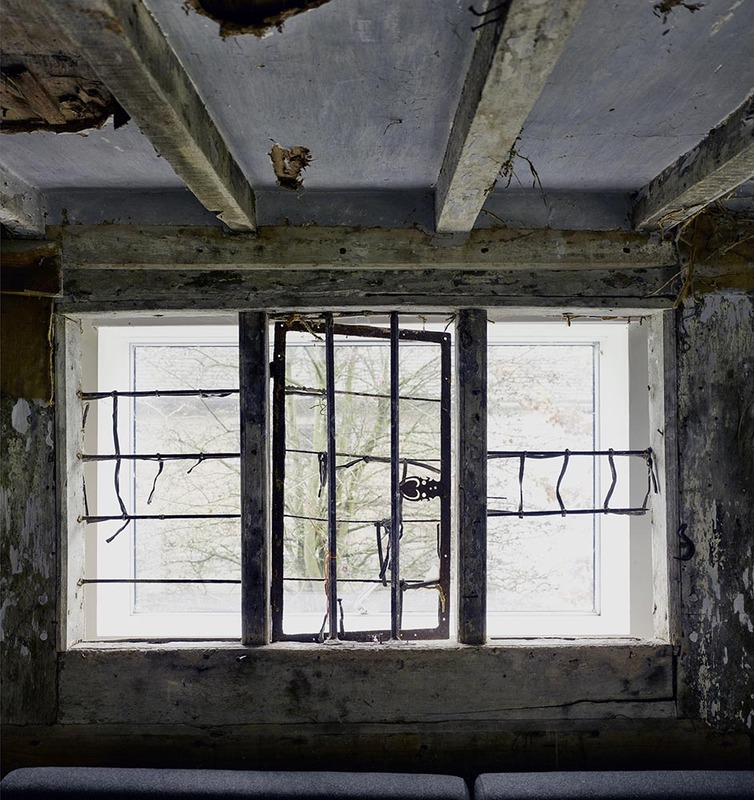 The ruin is protected from the elements within a new high performance outer envelope. 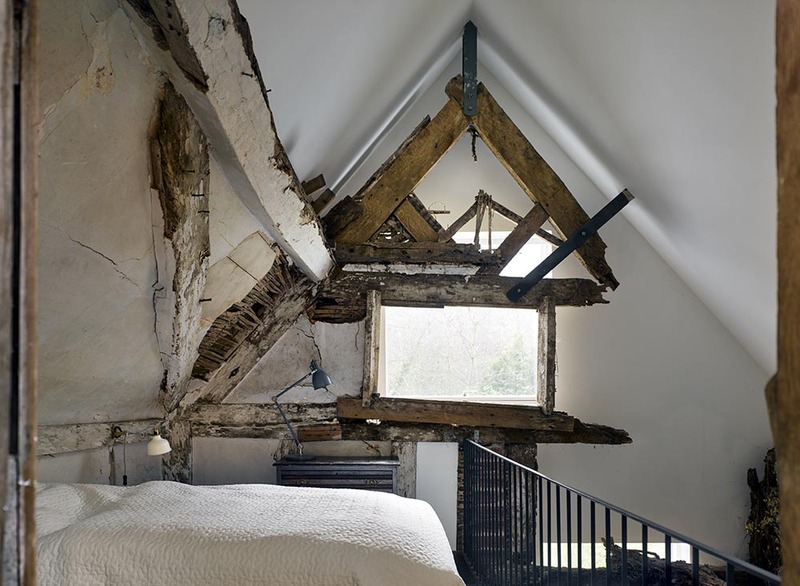 This means that in most places there are two walls, two windows and two roofs, old and new. 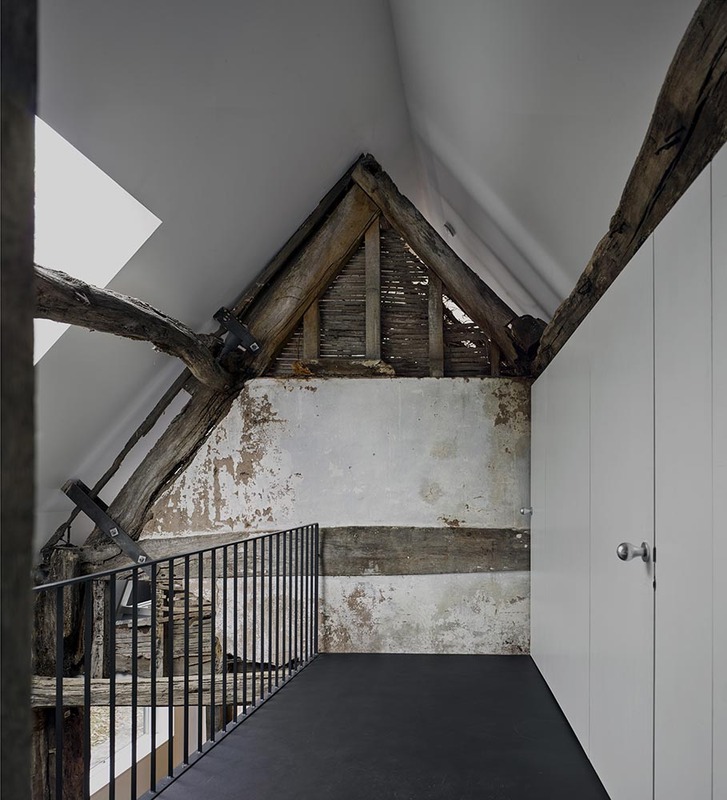 The work was undertaken to create a functioning studio with living accommodation that could be easily be changed in the future into a house with three bedrooms and two bathrooms. 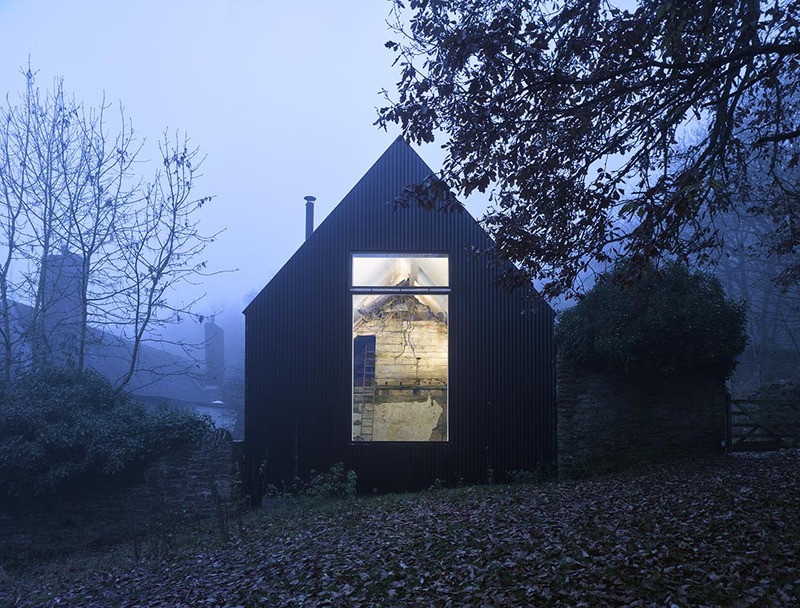 Firstly a steel portal frame was erected over the ruin, this was infilled with timber, sheeted with OSB board, insulated, wrapped in a waterproof membrane and internally clad in black corrugated iron. The new outer shell is highly insulated and air tight, with double and treble glazed fenestration. 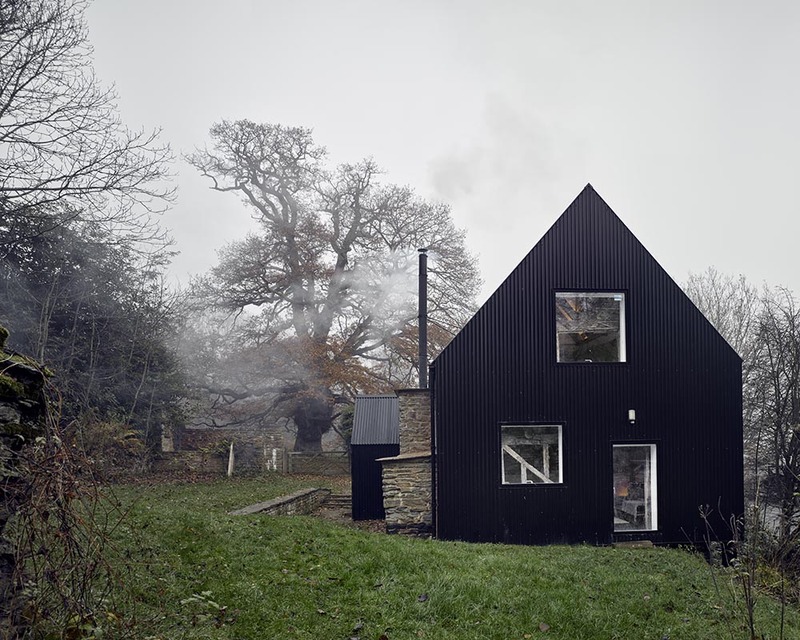 Heating is provided by two modern wood burning stoves, fuel coming from the adjacent forest. 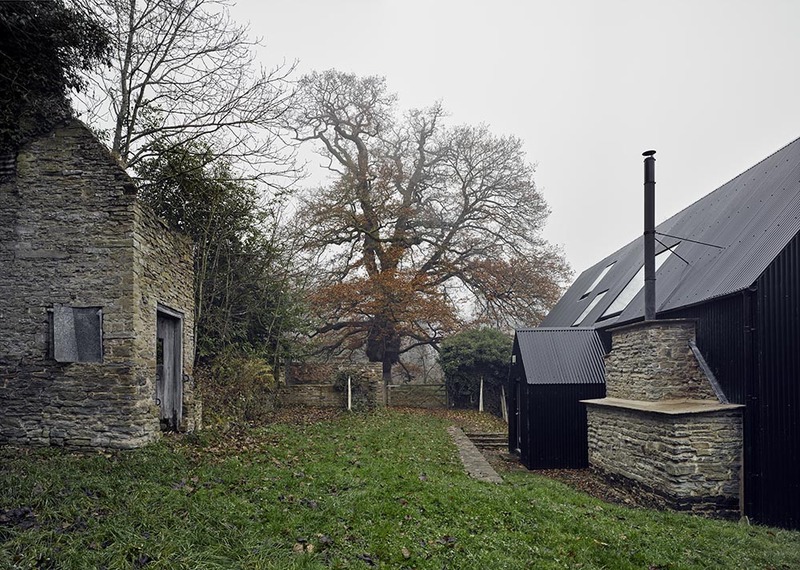 Electricity supplied from an array of photovoltaic panels on the south facing roof. 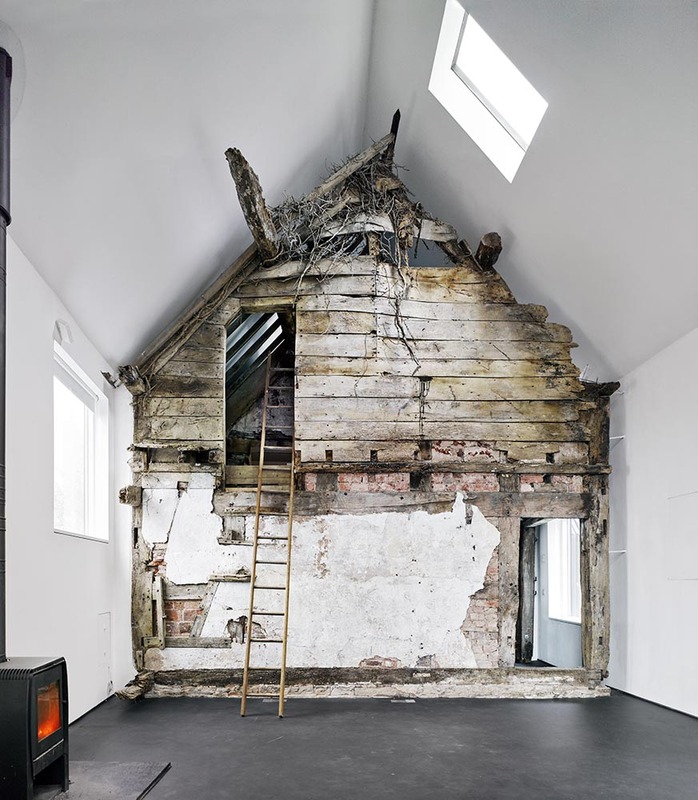 This roof also has 100 meters of glycol filled pipe running under the black corrugated iron sheets to act as a solar collector for the hot water system during the summer.